I send a drawing of two beautiful triple star: STF 1998 & 1999 in Scorpio. 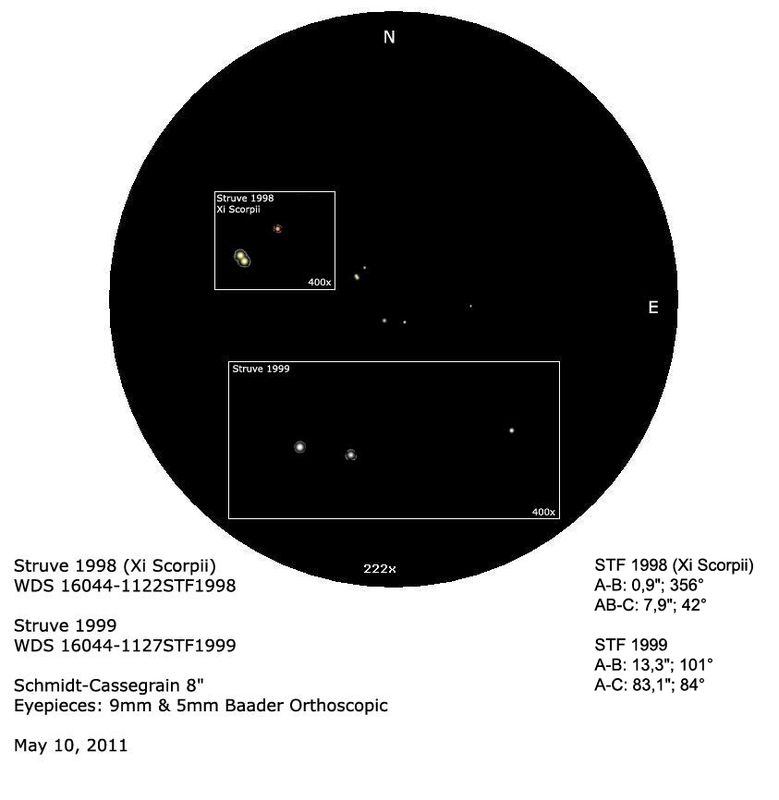 Struve 1998 (xi Scorpii) & Struve 1999. Processing performed with Photoshop 6.0. Perfectly done: the striking colors and the diffraction patterns. Even including the seeing imperfections! Did you draw this by hand? Or did you do that digitally? Can you tell me the reason you choose to add two inset-views of 400X? I think you could have managed to draw the whole scene in one circle of 400x. which is off course more like the actual view. A lovely sketch of these two triples.